Heart palpitations, Obesity, Polyarthralgia, Type 2 Diabetes, Sleep Dysfunction, Fibromyalgia? If you don't care about your health, stop reading! You have fibromyalgia obesity or you have fibromyalgia and heart palpitations or any of the above: read on. Because your risk of developing a heart attack or a stroke is very high. Fibromyalgia and nutrition: it's a first step towards getting better. See why the chase for low cholesterol is creating the worst problems we have ever seen: increasing obesity, heart attacks and type 2 diabetes. And this is despite all the campaigns and treatments on lowering cholesterol! This is what we all have been lead to believe: a high cholesterol is the cause of heart attacks and coronary diseases. But this is not true for the majority of patients and it does not apply at all to women! In fact, decreasing cholesterol not only did not work, but it increased the incidence of heart attacks and coronary disease as we'll see later on. The only real positive effect has been for those selling statins, the anti-cholesterol drugs: they made billions! 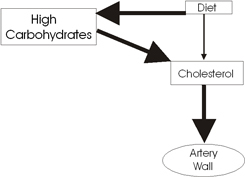 The high carb diet produces even more cholesterol! 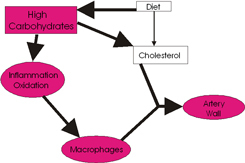 In fact, the high carb diet produces inflammation that damages the wall of the arteries including the coronary arteries that bring oxygen to the heart. 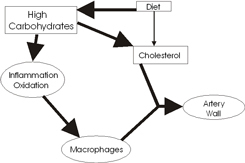 Moreover, that inflammation excites the macrophages. 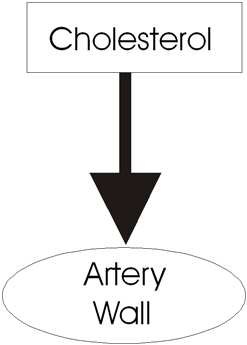 When excited they take the LDL portion of the cholesterol in the blood and deposits it in the wall of the arteries, the start of a very bad process towards occlusion! 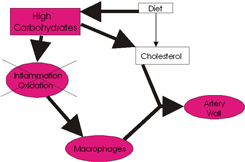 It's this inflammation that is always present in every one on high carb and low fat diet! That's the real culprit. 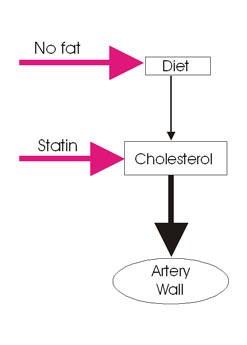 The culprit is not the cholesterol that's needed and is deposited only as an effect of inflammation. Decreasing the cholesterol does not avoid the deposits but exactly the opposite! Stop the inflammation and the oxidative process and you'll get better. 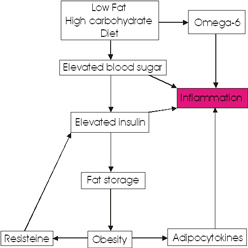 See why all this creates the greatest evil of all: Inflammation! Inflammation that is eating on your arteries, inflammation that is making your body suffer and unable to recover its health. Inflammation is the common factor of many more diseases than the ones we have named above.